This Loose Change Article is written by Melissa Bradbury from Mel’s Money Savings and Bargains, where she looks at saving money on your everyday shopping and finding the best deals possible. I know how hard it is to do your shopping on a budget. I get tempted all the time too. Spending on those goodies is so easy to do, but so harmful to your budget. Who can resist a packet of M & M’s on a Saturday night right? We are now on a roll and will more than likely just keep adding to the already bulging trolley with more things that we could possibly use during the week. Treats for the kids, treats for ourselves, things we can grab in a rush. Many of us do this without realising and don’t comprehend how the odd couple of pounds here and there really adds up. This can go on and on as you think about (or don’t think about) what extra ‘bits’ your family could use throughout the week. There is a way though, that you can still give yourself little treats without blowing the budget, piling on the weight and wasting food. 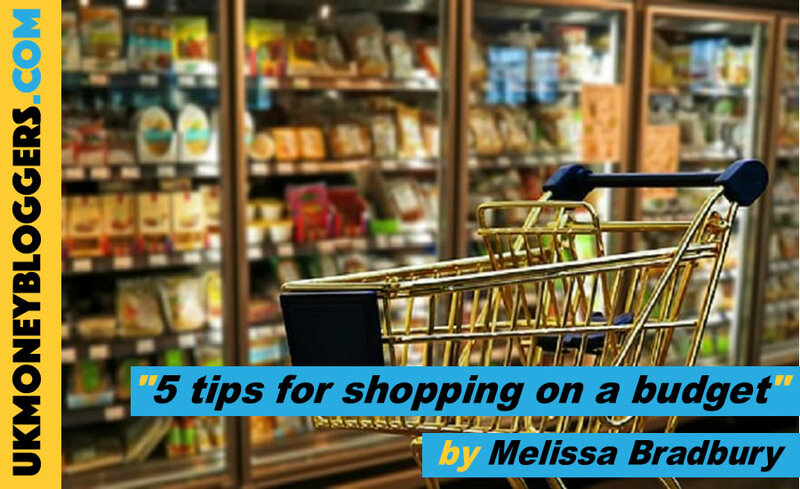 Follow my guide to shopping on a budget and this should help keep you’re your finances in check as you start to see results. Check your cupboards and fridge to see what you have actually got in and what you can make use of. If you already have a lot of cupboard staples such as rice, pasta and tins that you can make meals out of, then you don’t need to buy more. This will encourage you to buy more fresh produce to go along with them too. Write a quick meal plan for the week based around what you already have in and draw up your shopping list from that. This method does work, and you can still add in a section for snacks and lunches too, so you don’t miss out. It is so easy when going around the supermarket to just sling things in without thinking or having a plan. Once you have your list in your hand, then stick to it. Only shop from that list, as it covers everything that you could need for the week. Before you shop, look at what discounts could be available from that store and build that into your list. There may be a product for half the price, or you may find that it is cheaper to buy the supermarkets own brand instead. Look for discount codes online too as some places offer a large new customer discount just for doing your normal weekly shop. Now that you have planned your shopping, sought out the best deals and saved yourself heaps of money, you can carry on reaping the rewards. Make sure to use any loyalty cards or apps in your chosen supermarket. The points really add up and can be used to save up for something big, or to cash in on days out and other treats. So, there we have it, 5 top tips for shopping on a budget. I hope you found some of these tips helpful and use them to keep control of your shopping budget. I personally live by these rules and, hopefully, you can do the same with a bit of planning and willpower.